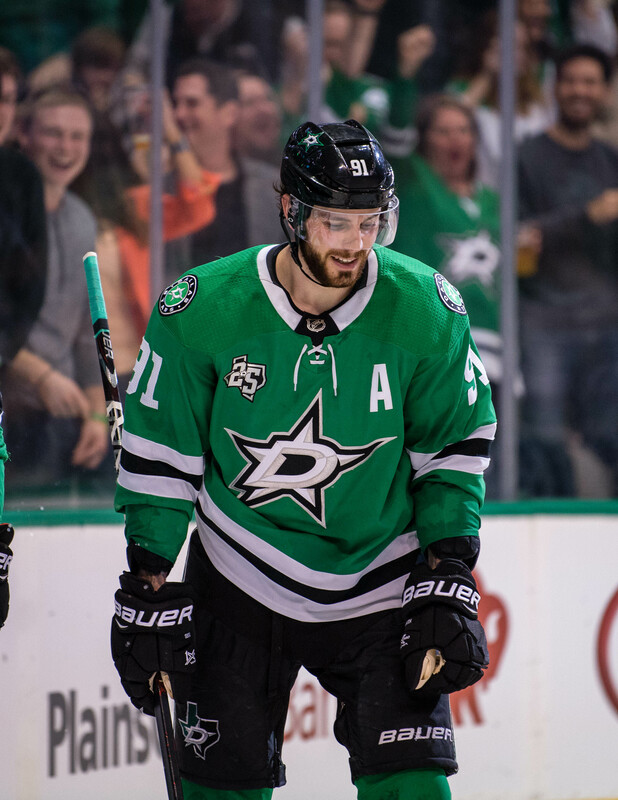 While the Stars would understandably like to lock up center Tyler Seguin to a long-term contract extension, NBC Sports’ James O’Brien believes he’d be better off waiting until next summer to sign instead. For starters, he may want to see if this roster is closer to contention; despite their offensive talent in recent years, Dallas has missed the playoffs in three of the past five seasons and has just one postseason series victory over the two times they did make it. It’s understandable that he may want to see if they get back on the right track under new head coach Jim Montgomery before committing. There’s also the potential for Seguin to leave money on the table as many often do when foregoing testing the open market. If he’s looking to maximize his pay, waiting until July may be the way to go, especially based on the interest and offers for John Tavares, who received $11MM per year from Toronto. It’s unlikely he’d get that type of deal signing now. Seguin’s case is certainly going to be one to watch for as 2018-19 progresses if they’re unable to agree on an extension by October. Although Seguin is justifiably drawing all of the attention when it comes to a potential extension, Matthew DeFranks of the Dallas Morning News suggests that defenseman Esa Lindell may be a candidate for one as well. He’s coming off of a quality season that saw him post a career-high 27 points while logging over 22 minutes per night for the first time, the second-highest ATOI on the team. The 24-year-old has one year left on his current deal with a $2.2MM cap hit and will be a restricted free agent with arbitration eligibility in July. Defenseman Keenan Kanzig has inked a one-year deal with Idaho of the ECHL, the Dallas affiliate announced. The physical blueliner was a third-round pick of the Flames (67th overall) back in 2013 but has spent his entire career thus far at the minor league level. He was moved to Carolina last summer as part of the Eddie Lack trade and spent all of last year in the ECHL where he had five assists and 106 penalty minutes in 63 games which resulted in him being non-tendered back in June. 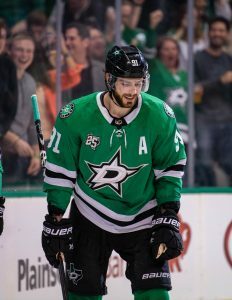 The Stars had interest in bringing back defenseman Greg Pateryn this summer, notes Sean Shapiro of The Athletic (Twitter link). However, they were looking at him to play a sixth or seventh role while Pateryn was looking for a bigger contract than someone in that role would receive. In the end, he went to Minnesota on a three-year, $6.75MM contract while in turn, Dallas brought in veteran Roman Polak on a one-year, $1.3MM pact to play the role they had envisioned for Pateryn. July 1: The Wild have officially announced the signing, inking Pateryn to a three-year deal worth $6.75MM. June 30: While the contract can’t be made official until Sunday, Larry Brooks of the New York Post reports (Twitter link) that Minnesota is expected to sign defenseman Greg Pateryn. He adds that the Rangers had shown interest in signing him as well. After spending the past few years as a depth defender who was in and out of the lineup, the 28-year-old got to play more of a regular role with Dallas in 2017-18 and made the most of it. He set career highs in games played (73), points (13), and ATOI (19:37) while ranking second on the team in blocked shots with 155 (also a career best). 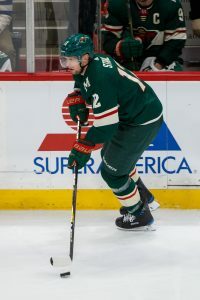 With the Wild, Pateryn should slot in on the third pairing as he would fall in behind the currently-injured Ryan Suter and pending RFA Mathew Dumba on the right side. While financial terms of the deal aren’t known, Sportsnet’s Elliotte Friedman reported on Wednesday that he could fetch around $2MM per season as several teams had already shown interest at that time. In our Top 50 UFA list, Pateryn was ranked 36th overall with a projected contract of two years worth a total of $3.6MM to the Wild. Free agency is now a little less than a month away from opening up and there are quite a few prominent players set to hit the open market while many teams have key restricted free agents to re-sign. Here is a breakdown of Dallas’ free agent situation. Key Restricted Free Agents: F Mattias Janmark — No one was sure how Janmark would respond after missing the 2016-17 season with a knee injury, but the 25-year-old took that next step in his development with a solid season for the Stars this season. No longer hampered by a degenerative knee condition, Janmark put up 19 goals and 34 points this season and found himself on the team’s second line by the end of the season. The question is what is the young forward worth after a bounce-back season? A quality two-way forward, he has forced his way up the lineup this year, often playing big units for a struggling offense. However, with the season he’s had, don’t be shocked if Janmark has some leverage going into negotiations this summer. F Devin Shore — Considered to be a key piece for the Stars youth movement, Shore had a solid season as a bottom-line forward as he saw his ice time increase by over a minute between the last two years. The 23-year-old put up 11 goals and 32 points last year, but also had 125 shots and 71 hits on the year. The only down side about Shore’s season is his minus-30 plus-minus ratio, way down from a year ago on a team that was better offensively this season. Other RFA’s: F Jason Dickinson, G Philippe Desrosiers, F Remi Elie, D Dillon Heatherington, D Stephen Johns, F Gemel Smith, F Cole Ully. Key Unrestricted Free Agents: D Greg Pateryn — Despite a career so far serving as a team’s seventh defensemen, Pateryn found a full-time role with Dallas in 2017-18. The 27-year-old blueliner found his way into the Stars packed defensive lineup and earned the key role as a shutdown defender alongside Dan Hamhuis and often led the team in minutes played. While just posting 13 points in 73 games, Pateryn was quite invaluable and likely can get a big raise as an unrestricted free agent next season. However, would Dallas consider bringing him back? A favorite of Ken Hitchcock doesn’t necessarily mean that Jim Montgomery would be willing to give him the same role. On top of that, Dallas has more young defenders than ever with John Klingberg, Esa Lindell, Johns, Julius Honka and the addition of last year’s first-round pick Miro Heiskanen. Is there a full-time role for Pateryn or would he be better off looking for a bigger role elsewhere? Other RFA’s: D Andrew Bodnarchuk, F Brian Flynn, D Dan Hamhuis, G Kari Lehtonen, G Mike McKenna, F Curtis McKenzie, D Andrew O’Brien, D Brent Regner, F Antoine Roussel, D Reece Scarlett. Projected Cap Space: With $17.6MM in available cap space (not including the possibility of the cap increasing), the Stars have some cap space and few major commitments to their own free agents. After wading deep into the free agent market a year ago when they signed Alexander Radulov and Martin Hanzal, which had mixed results, the team could consider making another run at another forward as that is where the team needs the most depth. Of course, the Stars top priority will be to extend star Tyler Seguin this offseason, which will have a huge impact on the team’s future. However, the team could use a quality winger such as James van Riemsdyk, James Neal or David Perron on their second line, which the team needs to rebuild for the coming season. The Vancouver Canucks placed center Reid Boucher on waivers with the hopes of sending him to Utica of the AHL, according to TVA Sports’ Renaud Lavoie. The forward missed the final three games of the season when he broke his hand, but Sportsnet’s Rick Dhaliwal reports that he is healthy again and ready to join the Comets for the first-round series against the Toronto Marlies in the Calder Cup playoffs. The 24-year-old Boucher struggled to make an impact with the Canucks this season as he had just three goals and five points in 20 games. However, he was quite successful when playing for the Comets, putting up 25 goals in just 45 games for the AHL squad. He is a restricted free agent this offseason. The Athletic’s Kevin Kurz reports that San Jose Sharks head coach Peter DeBoer said that center Joe Thornton has been ruled out in Game 1 against the Vegas Golden Knights later this week, although no date has been set yet by the NHL. The 38-year-old has been working his way back from a torn MCL injury in January. He has been practicing on his own, but obviously if he’s been ruled out already for Game 1, then it might be another week. Regardless, he could be back at some point in the series. SportsDay’s Mike Heika profiles defenseman Dan Hamhuis, who was a key shutdown defender alongside Greg Pateryn this season for about 50 games before the 35-year-old veteran began to wear down. The defensive-minded defenseman still tallied three goals, 24 points, 113 blocks and 82 hits during the season, but the scribe writes the veteran’s play was part of the reason for Dallas’ late-season struggles. Heika adds that it’s likely the team will move on from Hamhuis who will be a unrestricted free agent this summer. He is finishing up a two year, $7.5MM deal. The team is likely to go with a younger defense as they will want to give minutes to Julius Honka and last year’s third-overall pick Miro Heiskanen, who many believe will come over from Finland next season. With his team having lost the SHL finals, center Par Lindholm, one of Skelleftea top players, is expected to leave the team and come to the NHL, according to Expresssen (translation required). 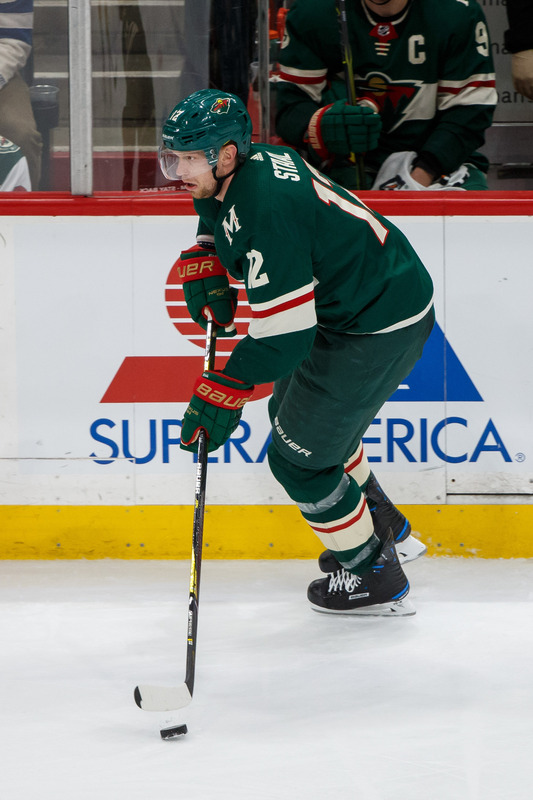 The 26-year-old put up 18 goals and 29 assists in 49 games this past season, and added another six goals and 11 points in 16 playoff games and played for Sweden in the 2018 Olympic Games. There is no word in the article where he might go, although there is plenty of interest from NHL teams. The Minnesota Wild’s Matt Cullen has not made any decisions about whether he intends to return next season, according to StarTribune’s Sarah MacLellan. “I don’t know,” the 41-year-old said after the Wild were eliminated Friday. “My only though here the last while was getting it back home for Game 6. So to be honest, I don’t have an answer right now.” Cullen, who has played 20 seasons so far in the NHL, waited until August last year before opting to leave Pittsburgh and join Minnesota, his hometown team. He played in 79 games, but saw his points total drop to one of his lowest totals ever with 22 points.